Knowing how much space you have to work with isn’t always easy when trying to reverse or manoeuvre a caravan, especially if your tow vehicle is particularly large. The slightest misjudgement can cause bumps, scrapes or collisions that could potentially cost thousands. 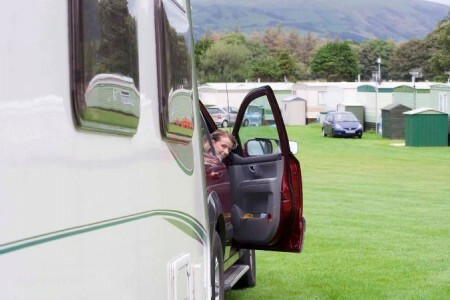 Reversing incidents are becoming increasingly common amongst caravan owners in the UK. Last year 29% of all claims made to Caravan Guard were from customers who had hit immobile objects such as walls, posts and gateposts when manoeuvring or reversing their caravan. Reversing damage is often severe with the average repair cost coming in at £1819. Many scrapes are often unavoidable and this where the insurance policy for your caravan should cover you. However, reversing cameras are a great way to reduce the likelihood of having to make a claim and therefore preserve your caravan insurance no claims discount. Some argue that although wireless reversing systems are easier to fit and in ways more efficient, they are more likely to lose signal through interference which can cause picture break-up. Wired systems, however, tend to be more expensive to fit (usually require professional install) but many choose them as a more reliable option. There are monitors with screen sizes ranging from just 3 inches up to 7 inches. Your decision might come down to how much room it takes up on your towcar’s dashboard. It is possible to get a system with two cameras so a second camera can be positioned at the back of the towcar to help guide the driver when hitching up to the tow ball. Night vision might be a life saver if you’re reversing onto a campsite pitch or into your storage location in darkness. Supplier: 4Kam Camera SystemsNow available with a multi-camera option, with second camera providing a view of the hitch. Standard system is one of the most affordable on the market. Supplier: Indic8torCamera uses anti-shake filters for a more stable picture. Supplier: Conrad AndersonThe monitor is small enough to sit on most dashboards, 7″ monitor model also available. If reversing cameras aren’t your cup of tea, a motor mover is a good alternative. Via remote control, a motor mover allows an owner whilst standing outside their detached caravan, to accurately manoeuvre the caravan with just a click of a button. Motor mover prices usually start from around £700 plus fitting. Check out our guide on reversing your caravan for more handy tips! Trailer Vision has more information on reversing cameras and aids designed specifically for caravans. Their latest wireless reversing system, the Digi-Lite™ Deluxe, was praised by one of our customers recently – it’s available for £399.99 and is guaranteed to be interference free! 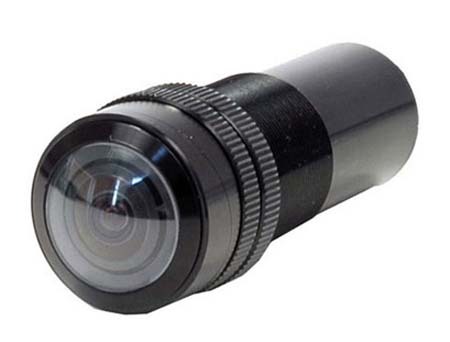 Already bought a caravan reversing camera, or thinking about buying? Give us your thoughts by adding a comment below. We have been using a LS701 reversing vidio system and a TFT LCD Monitor for several years. The system has two cameras, a button one in the car bumper and a infered night vision camera fitted at high level on the back of the caravan, which is hard wired through to the car. We use an additional pigtail connecter between the car and caravan. Whilst travelling solo the button camera works on revering and the monitor, clipped to the existing mirror, works as a mirror until the revers is engaged. When the caravan is hitched we have a switch in the car that activates the caravan camera and gives excellent view of tailgaters, cycles coming up the inside and a good distance back down the road. As well as extra help in the UK we have found it invaluable whilst travelling abroad rather than just relying on th LH mirror. We checked with the police if using a video system in the drivers vision, in this manor was legal, and they said anything that improved safety was OK. We bought the system from a company in Ashborne but they no longer seem to be trading. The only drawback is that the camera blanks out if the sun is directly behind the caravan, but this is better than being blinded through the mirror. PS my email address is andrew,taylor(a)zen,co,uk (with commas replaced by full stops, and the @ sign popped in). I too invested in a permanent on system this year, I think it’s great and gives so much more confidence (especially those drivers that come right up behind before popping out just behind the van). I use a wireless system as it’s easier than wiring through the van and car. It does suffer a little from interference, but this is transitory, and doesn’t affect the prime function an electronic rear view mirror. I started off with a wide angle camera, but this was useless as everything was too small any significant distance away. My current camera is a 90 degree, and that’s perfect for seeing further back and guaging distances. I actually have the camera mounted with white-tack with the wires runnnig in through the bathroom window (they’re so thin you can still close it), and I take it off when not in use. The first camera was front heavy and would gradually drop down, the current camera all the (very little) weight is at the back and it sits perfectly no matter how jolting the road. The other advantage with this mounting is the view is at the same level as looking through a normal rear view mirror so it takes no getting used too. Otherwise, Google “Sainspeed 7 Car Rearview Mirror Monitor”. Andrew,can you ask your brother to email me the supplier of the camera equipment please.regards mike. Phil – my brother has one which he can switch between camera on back of tow car to camera on back of caravan. I will try to find details. Mike – my caravan camera takes its 12v feed from the car 12v into the caravan (which would be pin 9 on the 13-pin plug I believe), so the camera and transmitter are off when the car supply is removed. Ilike this idea,however is an additional connection through the 13pin socket required?or is there connection space within the 13pin socket. 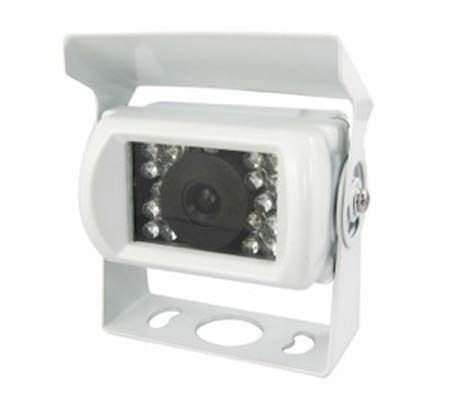 If you’re referring to wireless models then no additional (13 pin socket) connection is required, as the camera can be powered from the reversing light, side light, or number plate light. Does anyone do a rear view camera to replace the mirror? Anyone have any comments on the idea? Hi Phil, I put your query to Neil Todd at Trailer Vision who says: Yes, lots of companies do that. It’s the monitor not the camera that replaces the rear-view mirror. 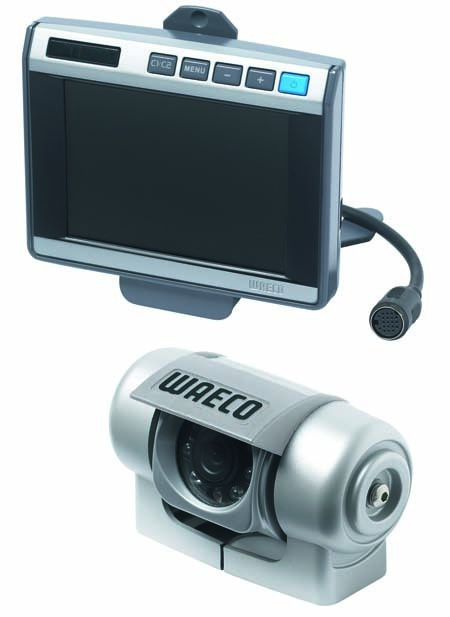 Trailer Vision are just about to launch such a product, although currently most monitors are attached to the rear view mirror, or the rear view mirror windscreen fixing. Hopefully this gives you a better idea of what’s available Phil. 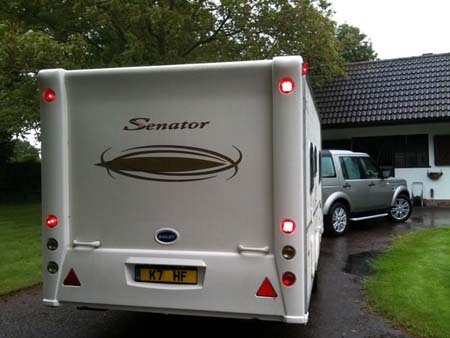 WHY do so many caravanners and mobile home owners only use rear cameras for reversing? 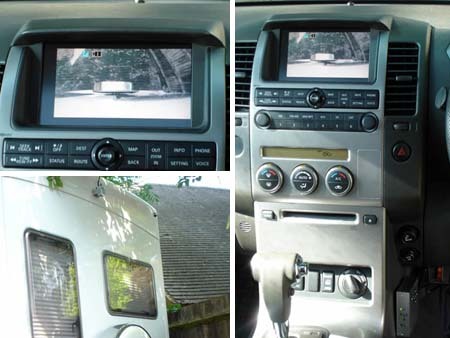 I have a 100% duty cycle rear view camera simply fixed to the rear of the caravan, and a 7″ screen on the dashboard. With a 60˚ view-angle laterally-inverting camera I get a perfect view of all traffic behind, however close, and better than when NOT towing – because there are no C-pillars and headrests to block the “mirror”. Vehicles appear about the same size as they would in the rear-view mirror without the caravan. The 60˚ view-angle may not be the best for reversing (I find it fine) and some may choose the more common 110˚ – but for driving that 110˚ gives very small images of vehicles on the road behind. You can have two cameras (even in one housing) and – dare I say it, but – if you create your own system it can be a LOT cheaper than commercial kits. £120 bought me camera + 2.4GHz transmitter + 2.4GHz receiving 5″ TV. All I needed… and no wires to the car. Oh – and whilst you’re thinking of “reducing claims” – why not fit a FORWARD facing recording camera in the front of the car. “Crash for cash” ?? “Sorry, friend, it’s all recorded on TV!”.